I started blogging in 2007 not as a venue for my creative juices but it was more like an experiment of me and my classmate in my masters’ class, who at that time testing his theory on the ephemerality of self in the cyberspace. Call it the work of a diligent, he eventually was able to come up with his manuscript proving his theory that cyborgs in the cyberspace posed mediated layers of identities and that ephemeral selves can be constructed, dissolved and dismissed. Today, I just don’t blog because it’s an experiment, cliché as it may seem but I have to discredit my first line, sad to say, because blogging has also become a channel of spilling out my creative juices, and more so, it has become a venue for me to meet wonderful people from different parts of the world that shared same cyber passion as mine. 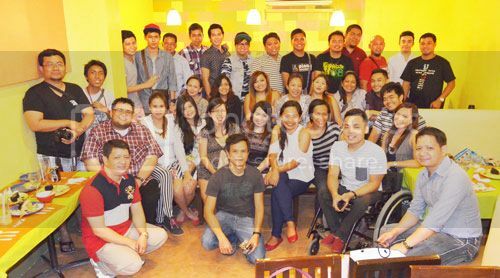 Recently, I was able to meet face to face the people behind the blogs. The Manila and Cebu Bloggers were in Davao City for Kadayawan Festival and I was overjoyed to have meet them.The awesome faces behind the popular Philippine Travel Bloggers were equally fantastic, hope to see you guys in one of my lucky days ahead. It was wonderful sharing stories with people you only click and follow online, fulfilling. 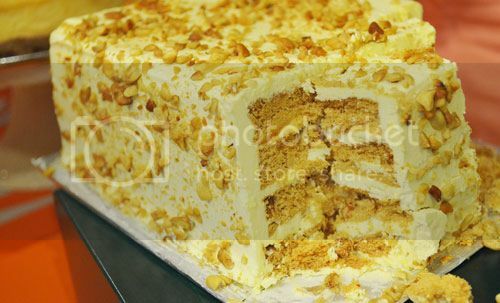 Lachi's Sans Rival in Davao is definitely without a rival. Our dinner was hosted by Lachi’s Sans Rival, makers of the most divine desserts in town, their cheesecakes are to die for, you should try it. They also offer several orgasmic home cooked delicacies you can’t taste anywhere but here. You can visit their shop, they’re at Ruby St., Marfori Heights here in Davao City.